In today’s world, we have engineered the outside, but we forget about our inner world. 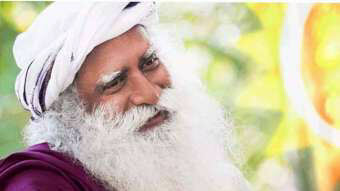 Inner Engineering is designed by Sadhguru, a yogi and visionary. It provides tools from the yogic science to empower you to create your life the way you want it. To make your life a joyful experience. Our generation is enjoying the highest level of convenience. And the youth is growing up with a world of possibilities. But the abundance of choice also leads to a lot of doubt, uncertainty and stress. 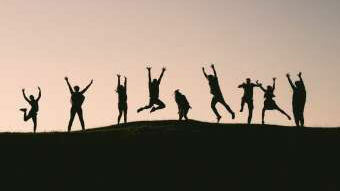 Wouldn’t it be great if today’s youth can learn how to live a blissful life? That’s why our Wave of Gratitude organization financially supports young people to follow the Inner Engineering program. Read more about our initiative. Gratitude is not an attitude. Gratitude is something that flows out of you when you are overwhelmed by what has been given to you. Our gratitudebeads help you celebrate your gratitude. And by buying them, you support our initiative to make the Inner Engineering program available to young people. Read more about the gratitudebeads. 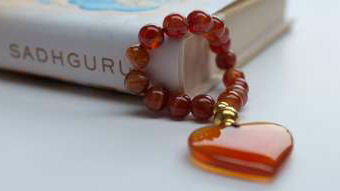 You can find our gratitudebeads in the webshop.